The Secretive World Of Hedge Funds Is About To Hatch The Most Diabolical Plot Since 9/11. J. E. Rexroth, a Manhattan private detective whose business isn't exactly thriving, knows next to nothing about the three-trillion dollar hedge fund industry. But when Samantha Little, wife of a hedge fund manager, comes to his office worried about threatening phone calls and refusing to tell him who referred her, he has his doubts but takes the case. J. E. takes the reader along on his own fast learning curve into the shadowy and secretive hedge fund world. He soon finds embezzlement and murder, but that's just for starters. The fun really starts after he uncovers the most menacing terrorist plot since 9/11. "Prepare to enjoy yourself! Lee Slonimsky has created a sleuth who's smart, resourceful, and very, very human. 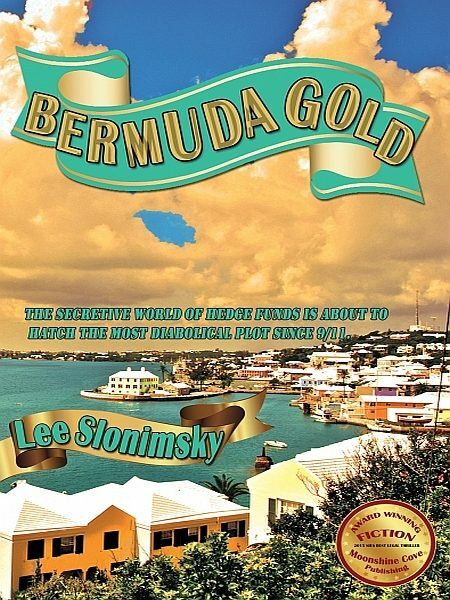 BERMUDA GOLD is a terrific debut. "-Tess Gerritsen, NEW YORK TIMES bestselling author of DIE AGAIN. ?...Private detective J.E. Rexroth...compassionate one moment, brutal the next...uses wit, grit, a Google search bar, and a .25-caliber gun, to sift justice from greed in BERMUDA GOLD. ?-Adam Berlin, Ferro-Grumley Award winning author of BELMONDO STYLE. ?...J.E. Rexroth...never so skilled as to be unbelievable, but always just skilled enough to progress, [is] too endearing not to make the average reader long for [more]. ?-Joe Benevento, author of THE MONSIGNOR'S WIFE and TOUGH GUYS DON'T WRITE. ?...Filled with humor, empathy, and beautiful descriptive passages that take us from the icy heart of winter in the Bronx to the sun-kissed beaches of the Caribbean, BERMUDA GOLD is a treasure...?-Liza Gyllenhaal, author of BLEEDING HEART and A PLACE FOR US. ?J.E. Rexroth joins the ranks of Sam Spade, Philip Marlowe and C. W. Sughrue as a melancholy P.I. who can solve a case and turn a poetic phrase at the same time. ?-Carol Goodman, Hammett Prize winning author of THE SEDUCTION OF WATER, LAKE OF DEAD LANGUAGES, and BLYTHEWOOD.